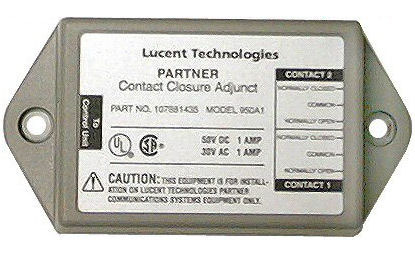 August | 2014 | Comtalk Inc.
Unlock Office Doors And More Remotely With The PARTNER ACS Contact Closure Adjunct. Busy offices mean busy people. Not everyone has time to leave their workstation to open an office door a garage or even turn on lights. The PARTNER ACS Contact Closure Adjunct does all this for you and more. This Item sells in Refurbished Condition and as always it will be delivered in A++ condition. For more information visit our Library for PARTNER ACS Contact Closure Adjunct. sales@comtalkinc.com or Call us at 800-955-6082.